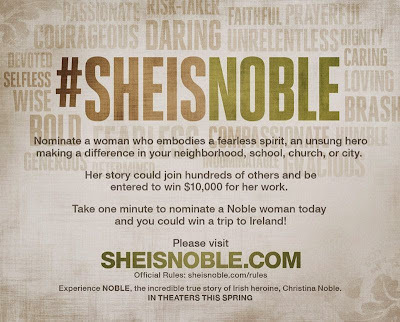 Airing My Laundry, One Post At A Time...: Nominate A Special Woman On She Is Noble! 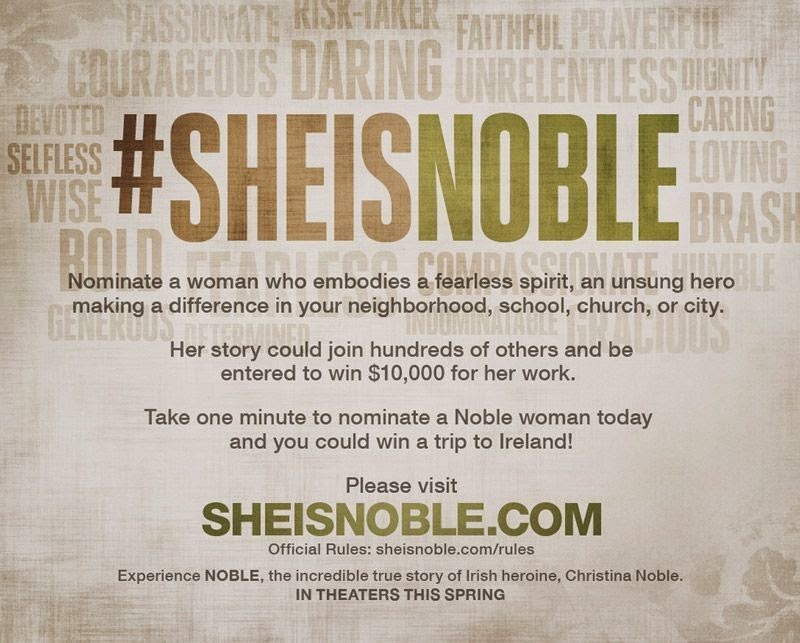 Nominate A Special Woman On She Is Noble! Do you know a noble woman? Someone who donates her time to helps others? If so, you need to nominate that woman over at She Is Noble. On the site, you'll see other fabulous women who are selfless and who don't hesitate to ensure other people are happy and safe. The idea is based on the life of Christina Noble. She helped rescue millions of abused and homeless children. A movie has even been made based on her life. You can learn all about TheNobleMovie. Do you know someone like Christina? If you nominate someone, you could help them win $10,000 for the charity of their choice. And YOU can win something too! The contestant who submits the winning nominee can win a 5 day/4 night trip to Ireland and $5000. For every reader that has a story published on the website, we each get a $25 Amazon gift card. So don't hesitate! Go nominate that special woman in your life. To learn more, check out the She Is Noble site. Also, be sure to check out the rules. :) What a great thing to do! Super cool - thanks for sharing this! What a great causse. Giving back and sharing the kindness of others is always a good thing.